7 For All Mankind tank with twisted detail. Approx. 23.5"L down center back. Crew neckline. Sleeveless. Relaxed fit. Slipover style. 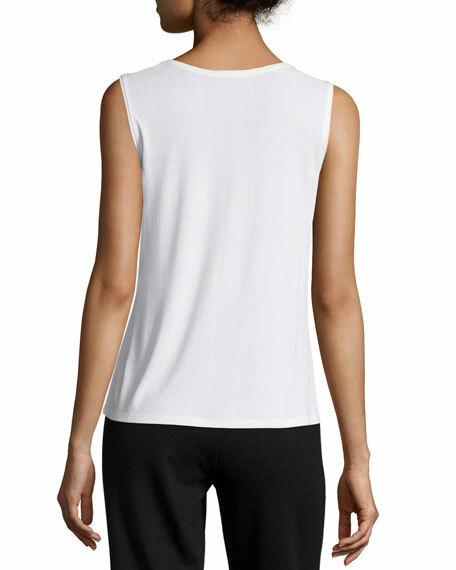 7 For All Mankind tank with twisted detail. Approx. 23.5"L down center back. Crew neckline. Sleeveless. Relaxed fit. Slipover style. Cotton. Machine wash. Made in Peru. Model's measurements: Height 5'10"/177cm, bust 33"/84cm, waist 25.6"/65.2cm, hips 35.8"/91cm, dress size US 2-4/FR 34-36. ATM ribbed jersey cami. Approx. 21"L down center back. Scoop neckline; Spaghetti straps. Slim fit. Pullover style. Modal/spandex. Made in Peru. Model's measurements: Height 5'11"/180cm, bust 34"/86cm, waist 24"/61cm, hips 34"/86cm, dress size US 2. Berek "Lapis of Luxury" floral-print tank accented with beads. Scoop neckline. Sleeveless. Slim fit. Hem rests at hip. Pullover style. 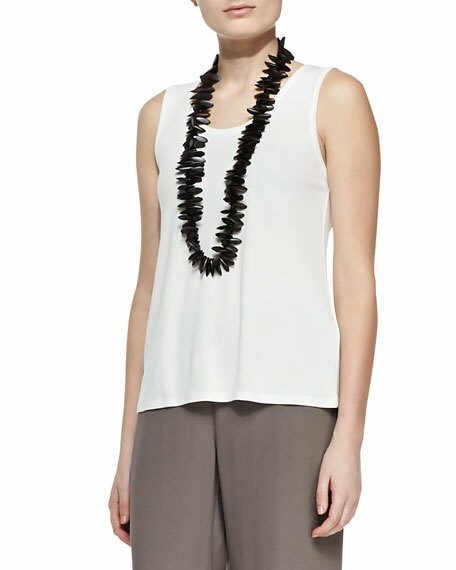 Berek "Lapis of Luxury" floral-print tank accented with beads. Scoop neckline. Sleeveless. Slim fit. Hem rests at hip. Pullover style. Rayon; hand wash. Imported. Model's measurements: Height 5'10"/177cm, bust 33"/84cm, waist 25.6"/65.2cm, hips 35.8"/91cm, dress size US 2-4/FR 34-36.